The Prism Nexus Stunt kite is a good example of a quality modern 2-liner. Thanks are due to Dr Alex Kraaijeveld from the U.K. for making me aware of these pre-1940s occurrences of steerable designs. Here is his illustration of, which gives a great over-all perspective of the history of stunt kites. AN UPDATE: The was released by Peter Powell's two sons in early 2014. A modern re-creation of the classic MkII! 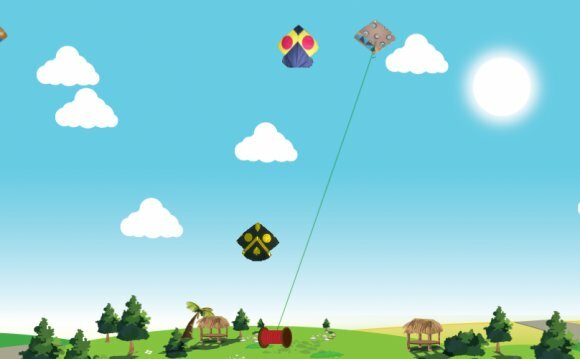 We have flown it, and it certainly is a great family-friendly stunt kite. Any history of stunt kites should mention one particularly notable design of the period, the Mirage. This kite was a cleverly designed tailless delta that managed to win a lot of contests in the mid to late 80s. This design was by Mike Jones, of In those days, flyers would do 3 compulsory maneuvers rated 1-10 plus a 1-3 minute freestyle demonstration. All pretty basic stuff compared to what can be seen in modern contests. Peter Powell's two sons released the in early 2014. A modern re-creation of the classic MkII! We took one down to the beach one day, and put it through its paces. Easy to setup and fly. The wind was not ideal on that occasion, but I saw enough to have no hesitation in recommending it for family use.